Where countryside and comfort combine. Moorlands is a 19th century gentlemans residence, modernised to offer quality B&B and self-catering accommodation in 6 acres gardens in the Exmoor National Park. 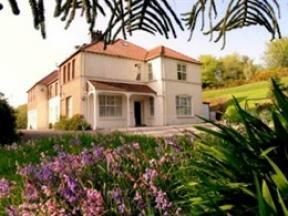 The Denes is a 4* licensed guest house, situated in Lynton. Enveloped within the Exmoor National Park, it occupyies an area of outstanding natural beauty and coastal scenery. Anne, Dave and Rebecca would like to welcome you to Gable Lodge, a family run guest house offering family friendly bed and breakfast accommodation with freshly prepared evening meals available. Hillside House is a beautiful building dating from the 1790s, though parts of it are much older. Situated on the East Lyn river at Lynmouth.